Starting your own inflatable jumpers business is definitely a scary proposition, especially if you’ve never started a company before, as is the case with most owners of this type of business. Getting the funds to purchase your inflatables can be tricky and intimidating, but one of the most difficult things for most small business owners is learning how to promote their brand. There are a number of ways to do this, but do you actually know what a brand is? Do you have a brand for your business? Having a brand can be the difference between your business growing and it staying small. A brand is defined as a name, slogan, symbol, or sign that is used to identify a seller’s products or service. Take the big M for McDonalds, for instance – that is a brand that is easily recognizable throughout the world. Coca-Cola’s distinctive red logo is another great example of how well branding can work. But branding isn’t just having a great logo or slogan, it’s figuring out what your business is and what you stand for. The first step in building your brand is figuring out who you are. Your brand is how people perceive you. Do you want to be seen as a grumpy business owner who doesn’t set up your inflatable jumpers properly? Or do you want to be seen as a happy, helpful owner who is interested in making sure that their customers needs are fully taken care of? That is the first thing you need to figure out when you’re trying to build your brand. Once you know who you are, and what you want your business to stand for, you can start to build your brand. Building a brand can be tricky, but there are a number of websites online that have great tips and tools about how to create a brand. Having the right image and font for your businesses name is important (as is, of course, having the right business name), and you want to make sure that everything about your brand is not only comfortable to you but also that it suits your business to a “t” as well. Then you can plaster your brand on your business cards, on social media sites, and on any advertising that you pay for. Having a great brand is the ideal way to make a person instantly think of your business when they’re looking to hire someone who rents out inflatable jumpers. Some people absolutely love to write. They love putting words onto paper, whether actual paper or electronic paper, and describing things. A large majority of people, however, avoid anything to do with serious writing as often as possible. While they’ll have no problem jotting down an email, the idea of doing something like writing a business plan can be extremely intimidating. If you’re thinking about starting a bounce house business, before you look for a bounce house manufacturer to purchase your inflatables from, you’ll need to have a good business plan. Many wonder if they really need to have a business plan in place before they look for a bounce house manufacturer, and the answer is always a resounding “yes”. You should always have a business plan ready, not only for you but for any potential investors that you may look for. Business plans take the ideas that you have rolling around in your head about your new venture and put them into a solid format. They not only help others to see what you’re looking to do and what vision you have but they also help you to solidify all of the ideas that you have so that you can have the best chance for owning a successful business. One great tip for writing a business plan is to outline your vision clearly. Write a mission statement, basically what the goal of your business is, and make an outline about all of the things that you want to accomplish with your business. Another tip is about budgeting. Many people simply assume that budgeting is the same thing as a business plan, and it’s not. While you need to have a budget in your business plan, as it’s a great way to show you what you have to work with and what you need, there needs to be much more to your business plan than just having a budget. And finally, when writing your business plan try to think about your clients. After all the customers are the ones who will be making your business work, and if you don’t have the right attitude about your customers your business will likely not succeed. So before you contact any bounce house manufacturer, make sure that you have a solid business plan – one that you’ve had others look over to give you a second opinion on – to give your business the best chance of thriving. It can be said, hands down, that owning a jump house business is one of the best ideas for anyone who is looking to start their own business. This is because this type of business is affordable to start, easy to run, and holds the greatest promise for advancement in the business. 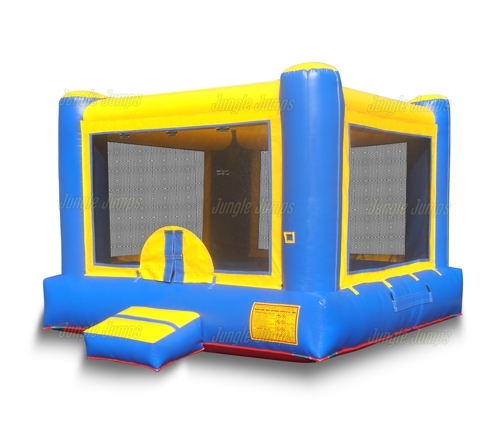 It can be extremely tempting to simply run out and to purchase all of the inflatables that you’ll need in order to start your own business, but there’s something that you should be aware of before you purchase your first jump house – your competitors. You wouldn’t think that you’d have to deal with a lot from competitors, but you’d be wrong. Because this type of business is a business that is so simple to start, and which has a huge potential for earning a great deal of money, more and more people are starting to get into the business. Chances are pretty good if you start your business that you’ll be starting one in an area that is likely already covered by another jump house business or two. It doesn’t matter if there is already competition in the area, as there are many tricks and tips that you can use to get a great deal of attention on your business, but what you have to be aware of is what these other companies might do in order to bring your business down. No one likes competition, and while the proper thing to do is to keep your head down and to focus on your own business, many companies will not do this. They, instead, will decide to do everything they can to get your company out of business. They’ll likely contact you pretending to be an interested customer asking a number of questions, such as how your pricing works and what types of houses you’re renting. And they may even go as far as to smear you to potential customers. While it’s tempting to fight back, this is not advisable. The best thing to do if you are being slandered by a competitor is to completely ignore them. Instead of focusing your energy on how you’ll get back at them, you should focus yourself on your business and on your next jump house promotion. This way you’ll wind up making bank and your competitor will eventually wind up spinning their wheels. Today’s inflatables are much more than just bounce houses and slides. Many inflatable companies also offer dozens of interactive games for customers to choose from. These games will not only keep party attendees happy, but also engage their competitive spirit while having fun. Interactive games also make inflatables a fun activity for a wide range of ages, from young children to teenagers and even adults, as their competitive spirit shines. Some of the most popular interactive games include; Velcro sticky walls, boxing rings, climbing walls, sports challenges and more. As these games grow in popularity and are becoming well known, more and more customers are requesting the more popular games, or a comparable product. These types of interactive games are most commonly seen at events such as carnivals, corporate events and fundraising parties, and tend to be geared more toward older children and adults. While standard bouncers are great for smaller children to expend countless amounts of energy, these types of interactive games are often best suited for the older crowd, as the rules and competition do add an additional level of excitement, but may be more challenging for younger children to understand. An interactive inflatable game can also make a great team building experience for a company outing or workshop event. From obstacle courses to climbing walls and sport challenges, interactive games, provide the opportunity for groups to work together, teaching a team valuable skills. Do not overlook this type of corporate target market, who can also benefit from the loads of enjoyment interactive games can provide. A child’s birthday party can become a memorable occasion for the children and adults alike with interactive games. Older children and adults can participate, ensuring that everyone no matter what age is having a great time. Oftentimes it is challenging to keep everyone entertained when the attendees are of widely varied ages, interactive inflatable games help to eliminate this problem, providing hours of fun for everyone. 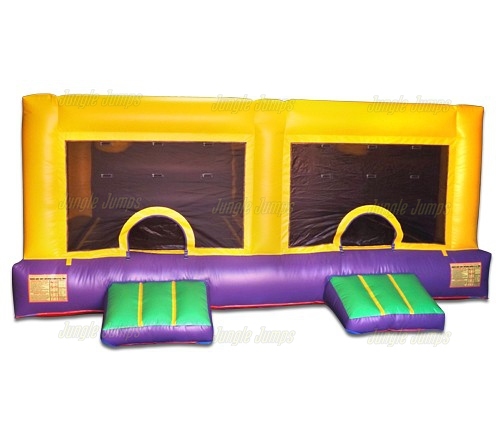 Inflatable obstacle courses also are a great way to entertain and provide hours of fun. These products come in a variety of lengths, from the most challenging to very basic courses. Obstacle courses are quickly becoming a big-selling item for corporate events and team-building activities as well as birthday parties and children’s events. Kids and adults alike will love the thrill of the race and the competition as they challenge one another over and over again. Interactive games can be easily customized to the event and the age and skill level of the attendees. Do not overlook this opportunity to add interactive games to your inflatable business, as it will increase your target market and add plenty of fun activities that you can offer your customers.